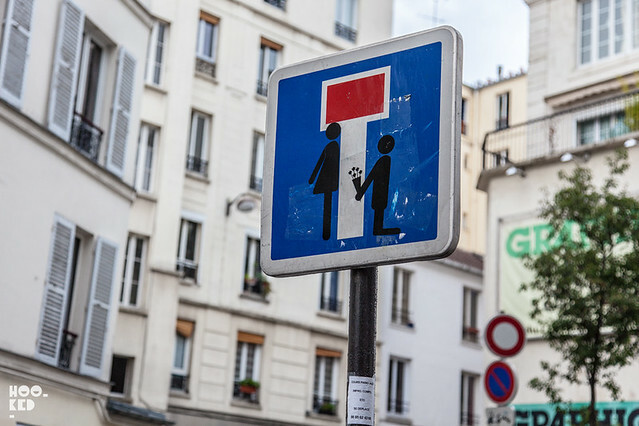 For the last four years, Florence based French street artist Anecleto “Clet” Abraham has been hacking street signs across Europe. 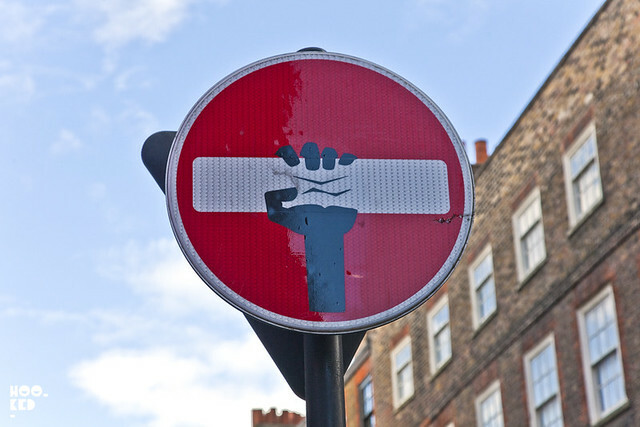 His altered street signs which see the artist adding vinyl street sign stickers to the existing road signs are to be seen in France, Germany, Belgium, Holland, Great Britain and Spain. We featured a large selection of the Clet's work when he visited London last year (covered here), hitting up parts of Shoreditch, Brick Lane and Old Street in East London as well as parts of Soho in Central London. While some works were removed almost instantly, there are still a lot of the pieces still running on the streets. It's like a never ending treasure hunt trying to document all of Clet's London work. Just when you think you have seen all of his London work, one will pop up unexpectedly like a recent spot in Southwark near the Tate Modern, suggesting that there are more to be found in this neighbourhood! And so the hunt continues. In late October of this year year Clet headed to New York City with his sticker interventions, hitting up the streets signs of Manhattan. New York blog Animal New York caught up with Clet during his US visit, following him around the Lower East Side in Manhattan on a Citi Bike, capturing some of the 50 or so street signs he altered during his visit. See the artist at work in the short film below. 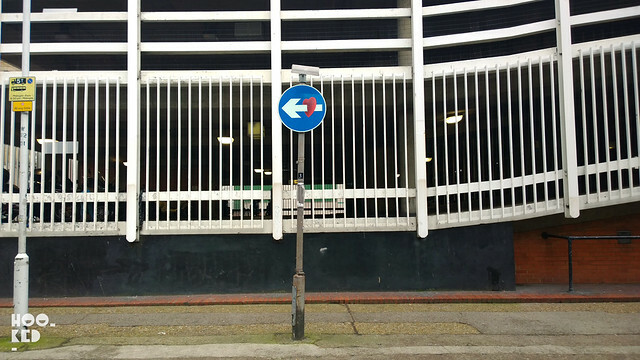 If anyone spots any other London street signs please feel free to drop us a message on email (hookedblog@hotmail.com) or post a comment below sharing your find and we will add the location to our map.